The long-anticipated arrival of fall means two things: PSL and plaid everything. If you think plaid only comes in a lumberjack-inspired button-up, think again. If you’re looking for a more feminine spin on this fall favorite, look no further! There are more ways to rock this must-have print. 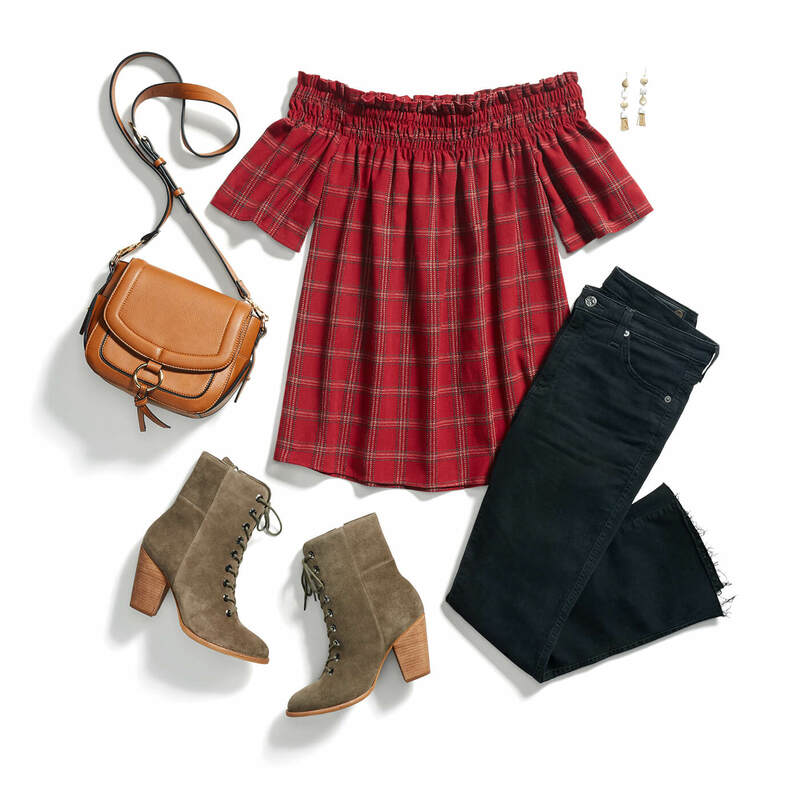 Here’s how to wear plaid with a girly twist this fall! We think the secret to wearing plaid lies in the fit. Instead of drowning in an oversized flannel, opt for a more flattering tank and let your curves do the talking. Pair with a modern cargo jacket, heeled mules and cropped denim for nonchalant, cool-girl vibes. A plaid print is an athleisure essential. Instead of a typical button-down wear a tied waist top with your softest joggers and slip on a pointed-toe flat for the chicest morning coffee run ever. One of plaid’s best style attributes is its ability to juxtapose casual flair against more feminine styles. Dip your toes into the undeniably feminine off-the-shoulder trend by choosing one with a rich plaid print. Add slim skinny jeans and a bootie to cement a glam, style blogger-approved look that’s equal parts poised and borrowed-from-the-boys. How are you going to rock plaid this fall? Don’t forget to tell your Stylist that you’re looking for something more than just a classic plaid button-up. Tell us what you think about this season’s plaid trends!